I found this over on PSFK (which you should all subscribe to btw, tis fab). 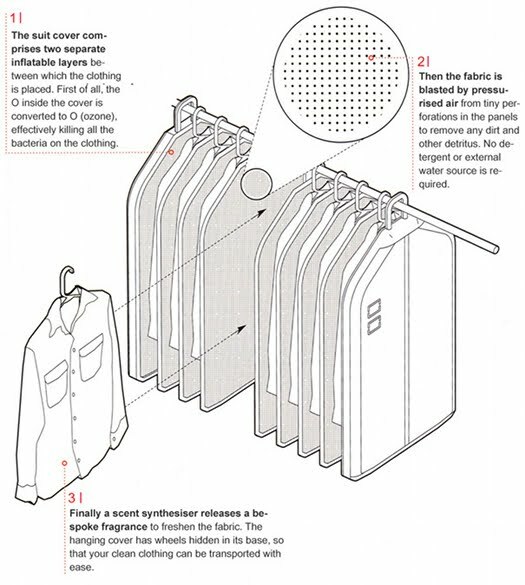 It is a design for a dry cleaner that you just hang up in your wardrobe, and it cleans your clothes in a couple of minutes with no chemicals. Amazing eh?